The team behind this project is introducing The Lord of the Rings: The Battle for Middle-Earth franchise to a brand new game engine - Unreal Engine 4. Relive the magic that made this franchise stand out in the RTS genre in glorious high definition. Unlike other projects that are modifications made to the original SAGE engine, The Battle for Middle-Earth: Reforged is being completely rebuilt in every aspect in Unreal Engine 4. Prepare for a completely new experience in the greatest addition to The Battle for Middle-Earth franchise that has ever been attempted. The Battle for Middle-Earth: Reforged is a non-commercial fan project currently under development. All rights belong to their respective owners. Ever wanted to know what we actually do to make the units in BFME: Reforged? Then it's high time to read the article! How BFME: Reforged Team makes units? Dear followers, we are happy to shed some light on how Team Reforged makes units and prepares whatever is needed for them to be integrated into the game. What we are going to show you are fully ready assets that need to be programmed. Take a look at our previous video release about the wargs of Isengard. One does not simply walk into Mordor, same goes for assets creation for BFME: Reforged. First, a high polygon model has to be created, and the artist, responsible for this, has to add as many details on it, as possible, regardless of what they are. After this the artist bakes the normal map, so all surface details could be captured in the form of a texture. Then the model goes through a process know as retopology. It's easier for any system to work with something that has less polygons, that's a part of optimization, and while the retopologised model itself loses many polygons that could highlight many details on it, the use of normal maps resolves the issue and greatly enhances the game perfomance, as the system no longer needs to work with complex and heavy high polygon models. Then the model has to be textured, skinned and animated, none of those are an easy task to do. And after the necessary work over the files that go into the game engine, the game asset stands ready and awaits programmers to do their magic. 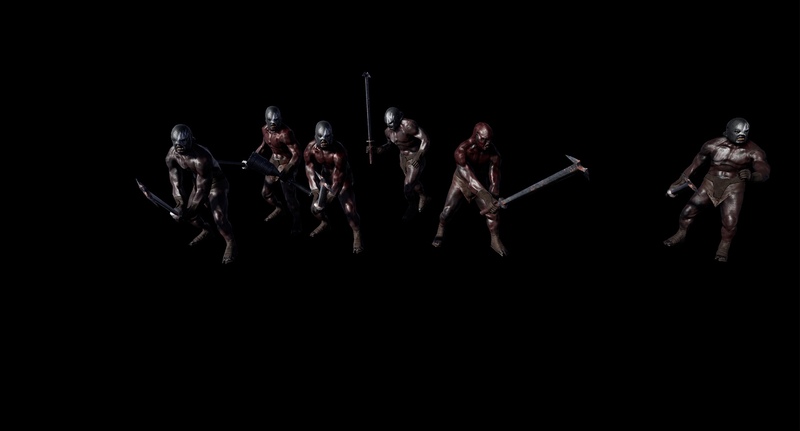 Don't forget that many units and buildings require various visual effects to be made, for example, the lit torch that is used by berserkers. This may sound very complicated, but that's what we have to do in order to add units and buildings and other necessary stuff into the game. Apart from purely technical stuff we have to approach the assets creation process with caution. Before we create anything, we carefully study the lore of the movies and the books and, take all necessary information into consideration and start doing the job. Please don't forget that you can always express your opinion over anything on our Discord channel and mainly on our Forum! You may also follow our Facebook page and our YouTube channel to stay informed of everything that we announce!